Oasis ‘Supersonic’ directed by Mat Whitecross will be shown on Wednesday 27th of December at 22:00 (UK Time) and repeated on Friday 29th December at 00:55 (UK Time) on BBC 2. 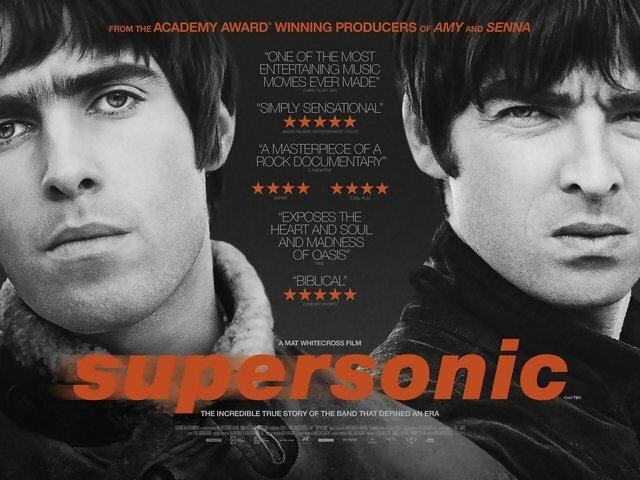 Supersonic, the award-winning feature documentary, tells the phenomenal story of iconic band Oasis – in their own words. Featuring extensive unseen archive, the film charts the meteoric rise of Oasis from the council estates of Manchester to some of the biggest concerts of all time in just three short years. This palpable, raw and moving account shines a light on one of the most genre- and generation-defining British bands that has ever existed, and features footage of new interviews with Noel and Liam Gallagher, their mother and members of the band and road crew.